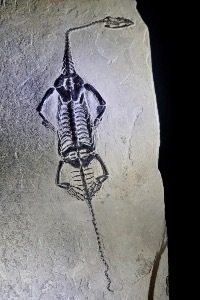 Keichousaurus is a genus of marine reptile which lived about 245 to 230 million years ago. 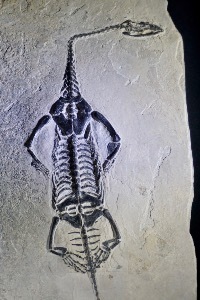 This is period lies between the Ansian and Carnian ages of the Triassic, and went extinct at the close of the Triassic in the Triassic-Jurassic extinction event. 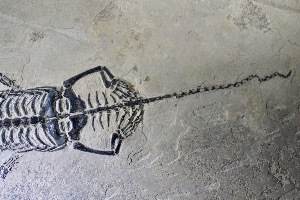 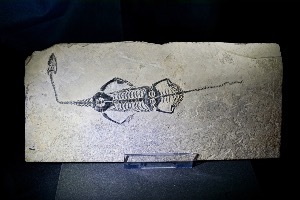 The first fossil specimen was discovered, and from where it’s name is derived from, in Kweichow, which is now Guizhou Province in China in 1957. 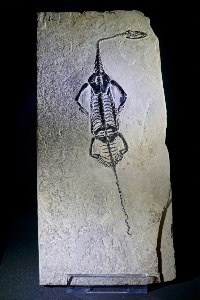 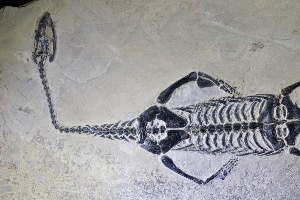 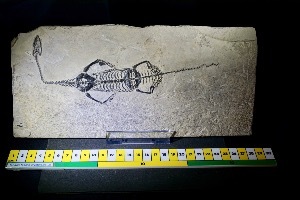 They are among the most common aquatic reptile fossils recovered and are often found as nearly complete, articulated skeletons.